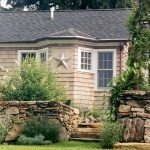 Here a raised stone patio connects the master bedroom and kitchen to a garden, outdoor shower and outdoor dining area. 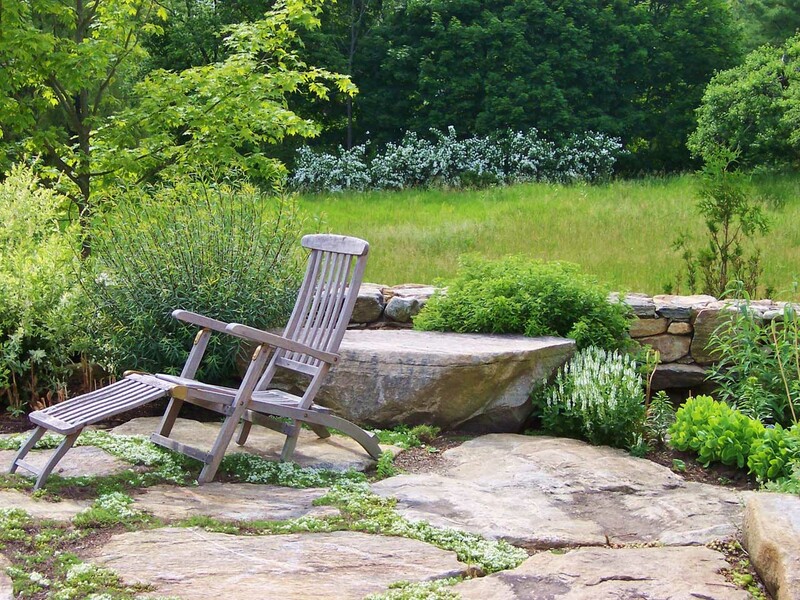 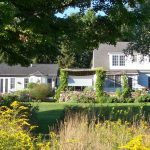 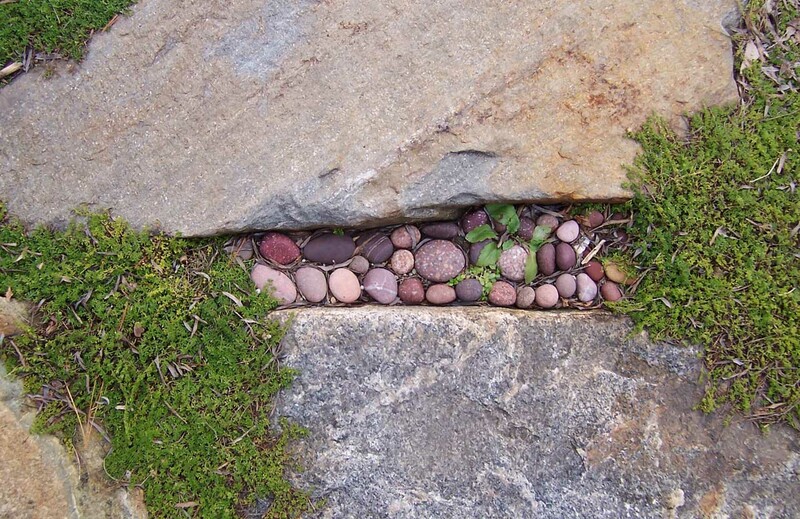 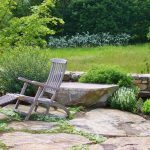 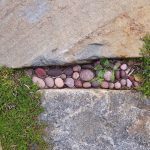 To remind this homeowner of her childhood in Maine, the patio included large natural fieldstones and pebbles collected from Maine beaches. 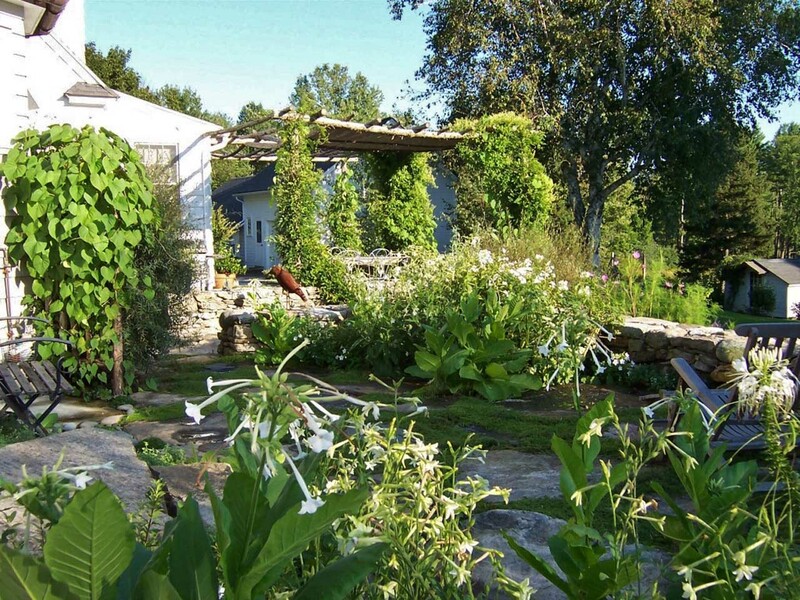 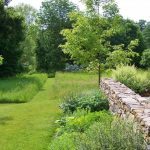 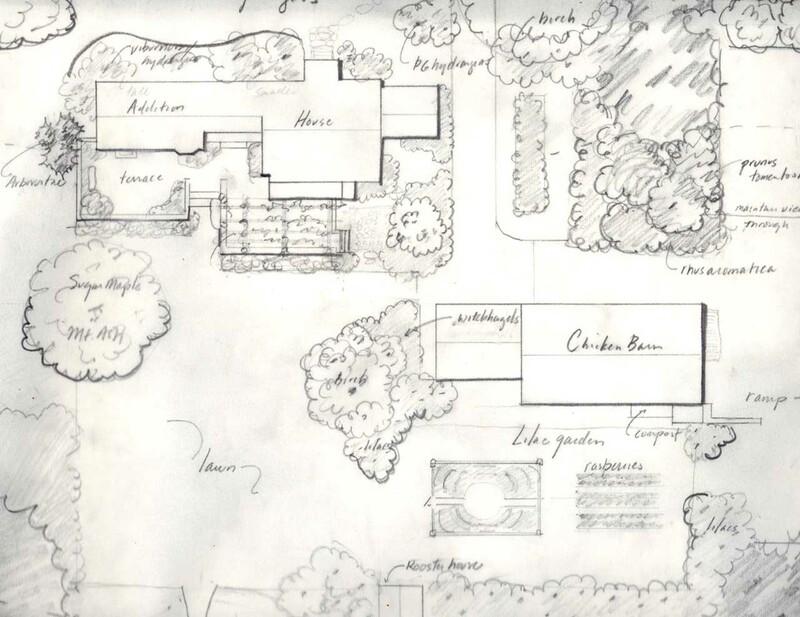 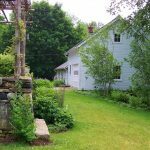 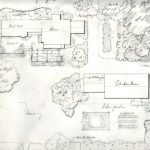 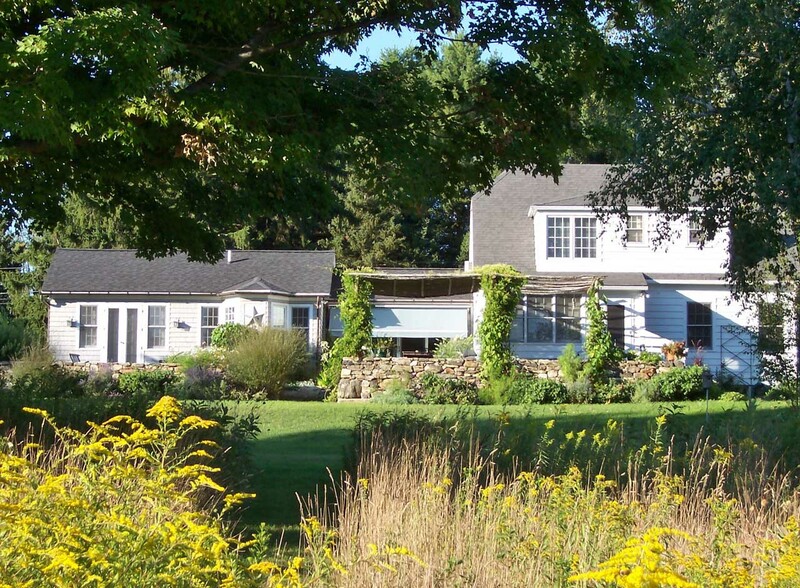 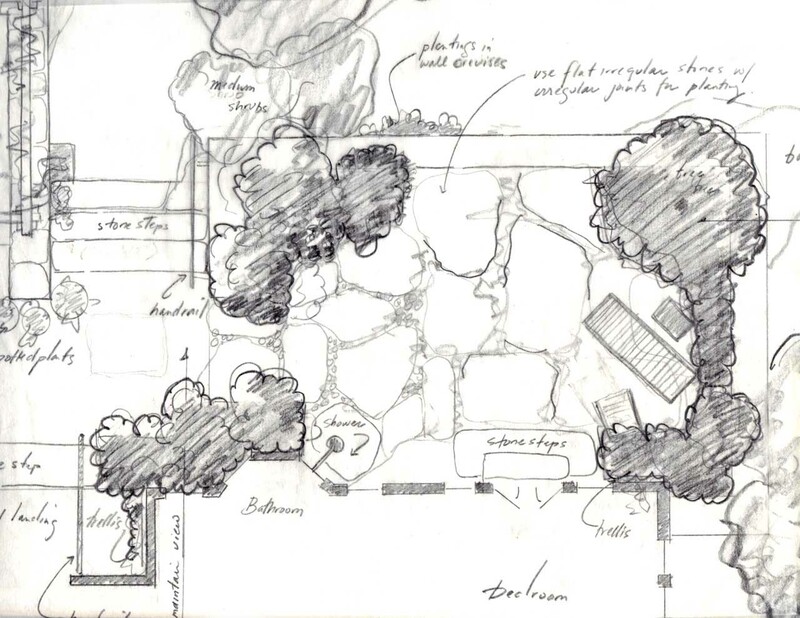 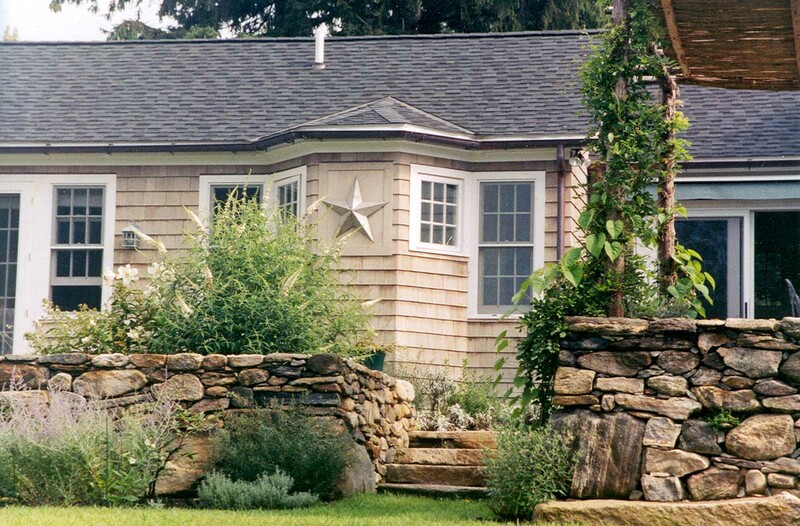 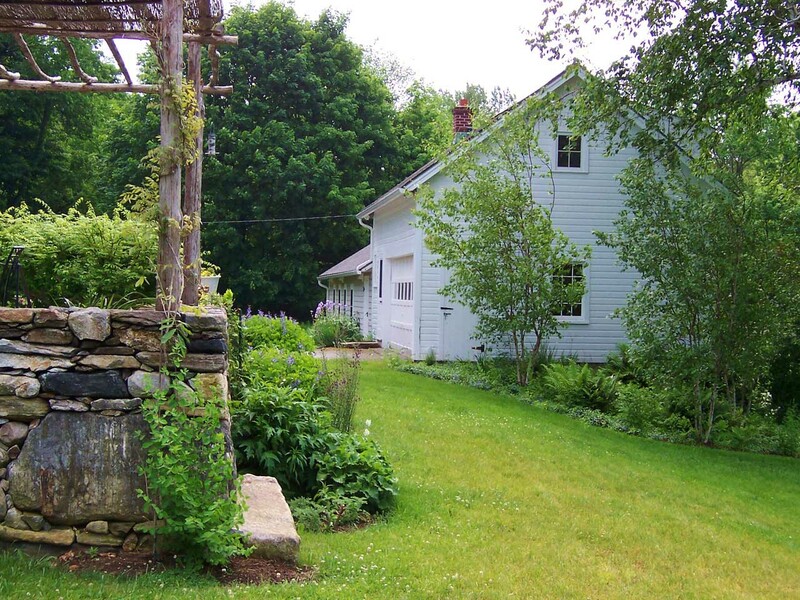 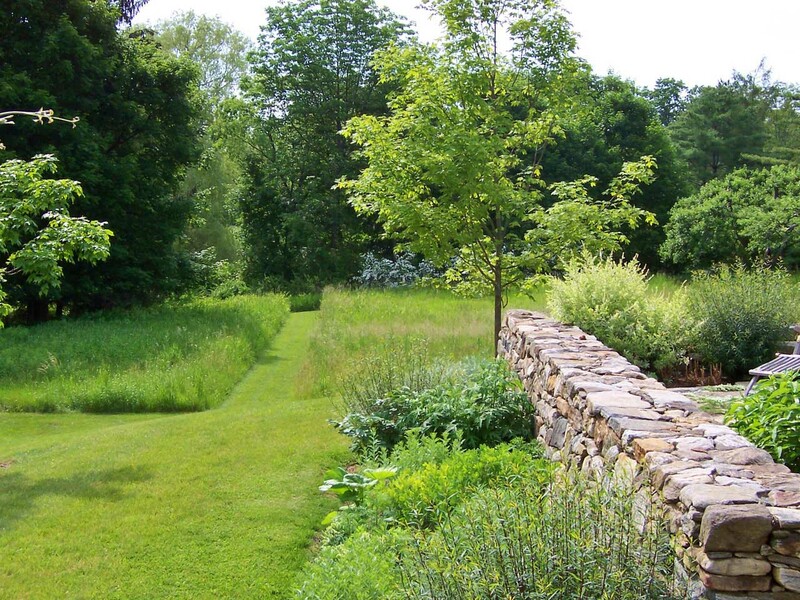 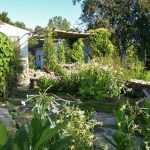 Designs for the property also included a lilac room, privacy shrub borders, and meadows that reduced mowed lawn area. 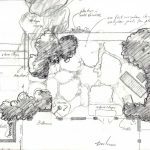 Architect Frank Garretson, Andy Belcher Construction and Gardener Jane Lloyd.